Siddha Home remedies and treatment of diseases by domestic plants have been prevalent since the time immemorial in India. Anything that is easily available around your home, and has a medicinal use, may be used as a home remedy. When used for medical purposes, herbs, vegetables, fruits, spices, grains and oils are understood to be Siddha home remedies. The natural ingredients of the Siddha health system herbs are much better and free of side effects than the factory made chemical stuffed products. Simple Siddha remedies can be very effective in relieving symptoms, and preventing further development of a disorder. Take Nilavembu (Chiratta) leaves two handful add 2 glass of water boil and reduce to 50ml. and filter. If fever is accompanied with bodyache, 2 piece of Arathai (Galanga the lesser), one teaspoon of MILAGU (pepper) and 2 piece of CHUKKU (Dry Ginger) may be added for the above preparation. But the quantity of water to be increased proportionately. If cough is present with fever, 10 Nos of Adathodai leaves (ADATHODA VASICA) may be added with the preparation. (a) Take three leaves of Adathodai(ADATHODA VASICA) cut them into small pieces, and put the pieces into a vessel. add two teaspoon full of honey and fry the content until some pleasant smell comes. At that stage add the following coarsely powdered Athimathuram(Jamaica liquorice) 1 piece Thippli (Piper longum) 1 pinch Thalisapathri (Flucourtia calaphracta) 1/2 gm., Chitharathai(galanga the lesser) 3 piece then add 4 glasses of water and boil, reduce to 1/2 glass. Dose: 1/2 glass two times a day. (b) Take 2 glasses of water. Add the following drugs, Adathodai leaves (Adathoda Vasica) three numbers, Kandankathiri leaves (Solanum Xanthocarpum) five numbers. Thulasi (holy basil) leaves five numbers Thoothuvalai (Trilobatum) leaves ten numbers and 3 gms., of Athimathuram (Jamaica liquorice) after roughly powdering them boil and reduce into 1/2 glass. Dose: 1/2 glass two times a day with honey. (c) 10 gms., of the root of Thoothuvalai(Trilobatum), grind with Cow's milk and to be taken in the morning. (d) Adathodai leaves juice 30 ml. (ADATHODA VASICA) , Finely powdered Milagu(pepper) 6 gms., Perugayam (asafoetida) 1 gm. mixed all and take in the morning and evening. (e) For Chronic cough, it will give relief when 2 gms., of chooranam (powder) which is made out of equal quantity of Kadukkai (Chebulic myrobolan, Ink nut) and "Thippli" (Piper longum) is administered in honey twice daily. a) Combine 2 Nanjaruppan (Tylophora Indica) leaves and two numbers of milagu (Pepper) and a piece of Chukku (Dry ginger) to be taken in the morning along with milk. Keep a piece of Athimathuram (Indian Liquorice) and two numbers of Milagu(Pepper) in the mouth and swallow the saliva. a) For running nose, headache, boil Nochi leaves (vitex negundo) in the water and place red hot brick on it. The vapour is inhaled by covering the body with a blanket. b) Juice of Thumbai flower (Leucus) 2 drops may be instilled in nostrils which will produce sneezing, after which headache (due to cold) will be relieved. c) Produce smoke by putting Omam (Carum copticum) Milagu(Pepper) Poondu thole (rind of the garlic) in fire and inhale the same. a) Omam (Carcum Copticum) 35 gms. Milgu (pepper) 35 gms. fry. combine this with palm jaggery and grind. Dose: Betal nut size, morning and evening. (b) Poondu (Garlic) Milagu (Pepper) Karisalai leaves (Eclipta Alba) in equal parts. Grind and administer twice daily in betal nut size. b) Powdered dried mango fruit. Dose: One teaspoonful with Butter milk two times a day. c) Powder of Vetpalai seeds (Wrightiatinctoria). Dose: One teaspoonful with honey two times a day. d) Powdered kadukkai thole (Rind of the Terminalia Chebula). Dose: two gms. with honey. Kasakasa (opium poppy seeds) one teaspoonful. Powder the above drugs coarsely and boil with the 2 gms. of water and reduce to half and filter. Dose: 30 ml. two times a day. f) Extract milk from half of a coconut, and mix 2 gms., of Kasukkatti (catechu) and administer two times a day. a) Soak Seeragam (Cumin seed) in the lime juice and dry. Then powder the Seeragam nicely. Dose: 500 mg. with honey two times a day. b) Burn vasambu (acorus calamus) until it becomes coal and powder. Dose: 200 mg. with honey. c) Take equal quantity of juice of Mathulam Pazham (Pomegranate fruit) and cane sugar. Boil till it becomes a syrup. Administer one teaspoonful twice day. a) Soak ten gms. of dried Drakshai (Grapes) in sufficient water for some time and crush the Drakshai and take it at bed time. d) Soak 5 gms. of Nilavarai leaves (Indian senna leaves) in 1 glass of water for sometimes, and make it as a decoction 1/2 glass and filter it and take it at bed time. Boil 5 gms., of alpagoda pazham (Prunus communis) in 1/2 glass of water, reduce to quarter, filter and administered with sugar, quantity sufficient at bed time. It acts as a Laxative also. Five drops of Chandana Athar (Sandalwood oil) to be taken with Peyan vazhaippazham (Plantain) twice daily. a) Take dried flowers of Avarai (cassia auriculata), the tanner cassiae, 15 gms and prepare decoction with sufficient quantity of water. Dose: 60 ml. two times a day. b) Juice extracted from Kodippagal Kai (Bitter gourd) and to be taken in doses of 1/2 oz. (15 ml) twice daily. a) Juice of Kuppaimeni leaves (Acalypha Indica) with common salt may be applied externally. b) Soak one part of karbogi Arisi(Psoralia corylifolia) in four parts of coconut oil and apply the oil externally for skin infection. c) Grind Arugampul (Cynodon daetylon) with a piece of Turmeric and apply externally for skin infection. Extract juice from the pods of Poovarasam(Thespesi piopulrea) and apply externally. b) Take equal quantities of Kichilli Kizhangu (curcuma Zedoaria) manippungan Kai (seeds of sepaidus trifoliates) and Kasthuri Manjal (Curcuma aromatica) grind with water and apply on the head and take bath. Take Nellikai (Indian goose berry) juice 2 litres. Buffalo's milk 2 litres and gingelly oil 1 litre, boil up to thyla bagum and filter it, apply to the hair daily. a) Veliparuthi (Daemia Extensa) juice 15 drops to be mixed with one teaspoonful of castor oil and can be given in the morning. b) Nochi (Vitex negundo), Nuna (Morinda tinctoria) Poduthalai (Leppia Nodiflora) is taken in equal parts (5 gms.) add 60ml. of water and reduce to 15 ml. by boiling, can be given in one teaspoonful dose three times a day. c) Take 50ml. of water add 2 gms. of perungayam (Ferula asafoetida) and dissolve it. Administer 3 teaspoonful of solution with 5 drops of oma theeneer (distilled from carum trachyspermum roxburghianum) twice a day. 1. Decoction of Parpataka herb (parpadakapul) 1/4 tumbler relieves pyrexia. 2. Tinospora (Seenthikodi) decoction with some black pepper powder will relieve chronic fevers -1/4 tumbler & 1/4 tea spoon respectively. 3. Sacred basil leaf (tulasi) juice and Leucus (tumbai) leaf juice along with some black pepper will cure periodic fevers--two teaspoon each and 1/4 tea spoon respectively. 1. Take the decoction of Adhatoda roots with some honey and powder of long pepper-1/4 tumbler with 1/4 tea spoon and one teaspoon honey. 2. Ginger juice with honey is also a good remedy--1/2 teaspoon juice with one teaspoon honey. 3. Take about 1 pinch of Chebulic myrobalan (Kadukkai) powder with some honey or equal quantity of liquorice root powder (Athimadhuram). It cures cough with inflamed throat. 4. Leucus Leaf (tumbai) juice with honey is useful in whooping cough 1/2 teaspoonful with 1/2 teaspoon honey. 1. Take the pulp of Bael fruit (bilva) along with some sugar to relieve Diarrhoeas accompanied by stomach ache--1 tea spoon. 2. Mix equal volumes of yellow wood sorrel leaf (puliyarai) juice and butter milk and boil. Add 1/4 tea spoon of Ajowan (omam) powder. It cures diarrhoeas and dysentery 2 teaspoon. 3. Take powdered nut gall (masikkai) and mix with some honey 1/4 tea spoon. Three doses will cure diarrhoes and dysentery in children. 4. 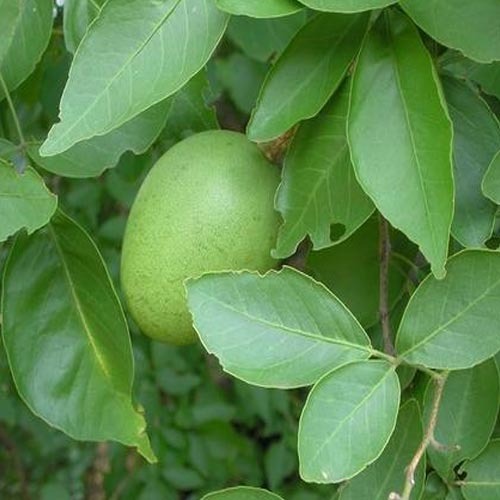 Take Nutmeg (Jadikkai) and tender mango leaves in equal parts by weight and make decoction. This is to be given with honey 2 teaspoon. 5. Powder of nut grass tubers (korai Kizhangu) and Aswagand tubers (amukara kizhangu) in equal quantity is given with honey--1 teaspoon. 6. Long pepper (arisitippili) ground with milk is to be given for three days to treat chronic dysentery--1/2 tea spoon. 1. Take powdered coriander (daniya) or cardamom (elakkai) with tender coconut water --1/2 tea spoon..
1. Take castor (amanakku) root decoction with cow's milk and sugar in the morning in empty stomach--Each 1/4 tumbler. 2. Grind castor root with some butter into fine paste, Apply a little on the tongue of infants to relieve constipation--1pinch. Take equal 2 tea spoon powder of Aswagant roots with some milk and sugar or with gingelly oil. Regular in take will remove fatigue and weakness and it is an anabolic. 1. Use long pepper powder with some guggulu glu for brushing and cleaning the teeth. 2. Grind Fenugreek seeds (vendayam) with egg albumin into a fine paste and apply on the cheek ( 2 tea spoon.). 4. Gargle with a decoction of drum stick root juice and Mustard 1/2 tumbler. ( 2 tea spoon Mustard). 1. Grind cleaning nut (tetrankotai) in egg albumin and apply externally. Pure Siddha herbal powder is available at IKS Academy Centre in Kuala Lumpur, Malaysia.